Welcome to the home of professional Bagpiping in the Chicagoland Area. Chicalba Bagpiping Services is a full time, full service bagpipe music business. We offer bagpiping performance and teaching throughout Chicago and its suburbs. 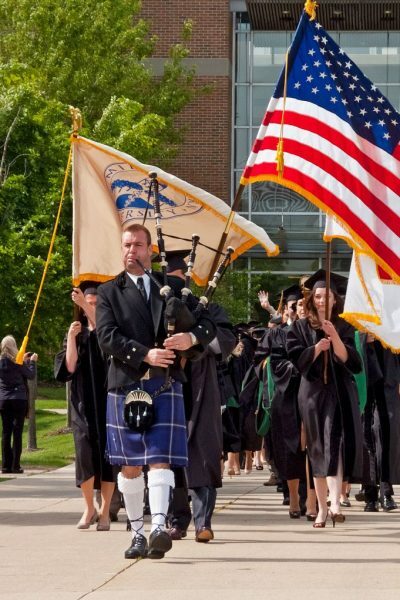 If you need a professional bagpiper in Chicago, you need Chicalba Bagpiping Services. 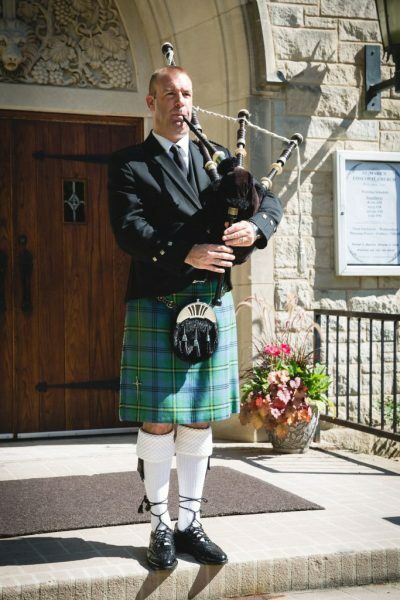 Enhance what will be one of the most special days of your life, your wedding day, with a professional Bagpiper. 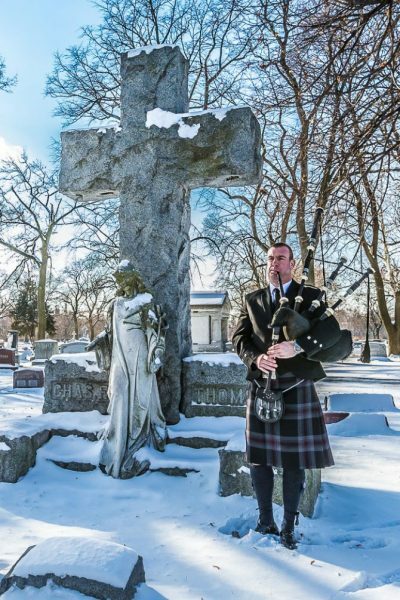 A bagpiper is one of the most fitting ways to provide an emotional and meaningful send off for a loved one. A great way to make an impact for clients and staff. 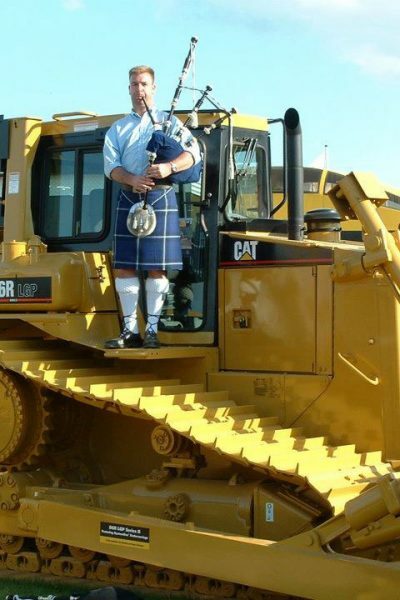 A bagpiper can add that special touch to your function. 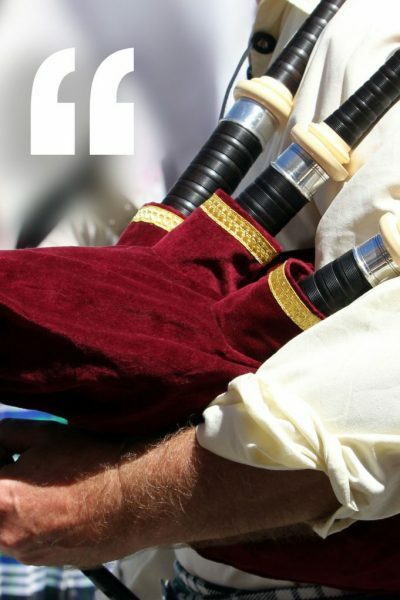 Make your event more memorable by adding the music of the bagpipes. Learn to play the bagpipes. We offer instruction to anyone over the age of 10 years old. Welcome to the home of Bagpiping in the Chicagoland Area. Our bagpiping business is split between event performance and teaching, using professional musicians for both parts. The business also has links to some bagpipe and uniform suppliers and other Celtic businesses. The business is managed by Dave Johnston, a former Double World Champion, who has over 30 years of playing and teaching experience and learned his trade in Glasgow, Scotland, before transferring his expertise to Chicago in 2005. 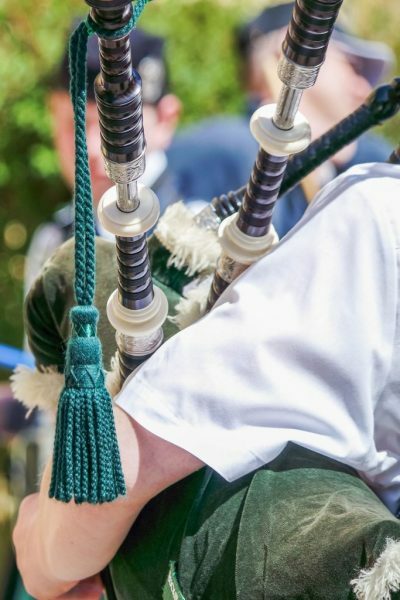 Chicalba Bagpiping Services takes pride in continually providing reliable and talented musicians for a variety of functions, including weddings, corporate occasions, funerals and many private parties. Chicalba also has vast experience in providing performers for St Patrick’s celebrations, sports events and educational demonstrations.